The A2 Milk Company has nearly tripled its net profit after tax for its 2017 financial year thanks to strong Australian and Chinese demand for its infant formula. Announcing its 2017 financial year results, the A2 Milk Company revealed that 72 per cent of its revenue for the year came from infant formula. This was a 61 per cent increase on A2 Milk Company’s 2016 financial year figures. Within Australia, branded A2 fresh milk achieved growth in sales, along with A2 branded whole milk powder. 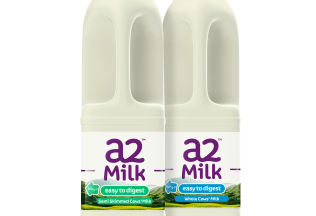 The A2 Milk Company’s Managing Director, Geoffrey Babidge, said the business’ growth reflects increasing consumer acceptance of the A2 brand. “We have continued to support and expand our brand proposition through effective marketing and promotional activities in each of our markets,” Babidge said. The A2 Milk Company said further progress was made throughout the year building the A2 brand in the United States. There was a continued focus on California and expansion through the South East of the country through a premium retailer. Brand awareness and rate of sale increased during the year in the region. Babidge reported the A2 Milk Company is strongly focused on China’s evolving regulatory regime, in particular the requirement for registration of infant formula brands by China’s Food and Drug Administration from January 2018. UK fresh milk sales grew when compared to the 2016 financial year with A2 investing in marketing and customer engagement in the UK.